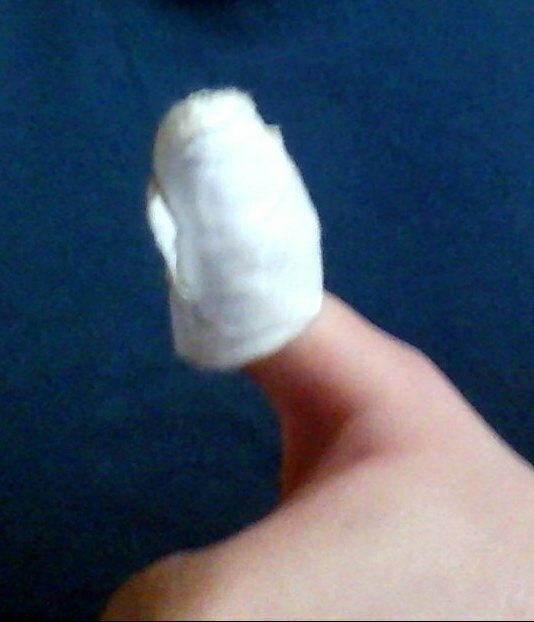 Sorry for the late post, but for most of the day I’ve had a big, bulky bandage on my thumb and it felt strange to type with. You see, when we went to the wedding, both dad and brother decided to go with formal cowboy hats, rather than civilized wear. Mom and I did our best, but they wouldn’t be persuaded otherwise. Even the extended family now refers to us as ‘the clan’. On the way home, we had to ensure we had the proper credentials to don such attire. Therefore we stopped to wrestle bears. As I’m sure you know, such things are highly regulated, even for rednecks and there is no significant risk to either human or bear. Lots of behind-the-scenes choreography, you might say. You may have guessed this isn’t my kind of thing, but given it was wrestle or walk home, I was nevertheless compelled. Despite everything, I managed to get my thumb caught on one of the claws. He (the bear) did offer his apologies, which I told him were entirely unnecessary, given I hadn’t wanted to wrestle any bears in the first place and so let myself be rather careless. Before you worry, no one else even got a scratch, and I’ve already graduated to your standard band-aid. We all made it home, and the guys got to keep their cowboy hats.